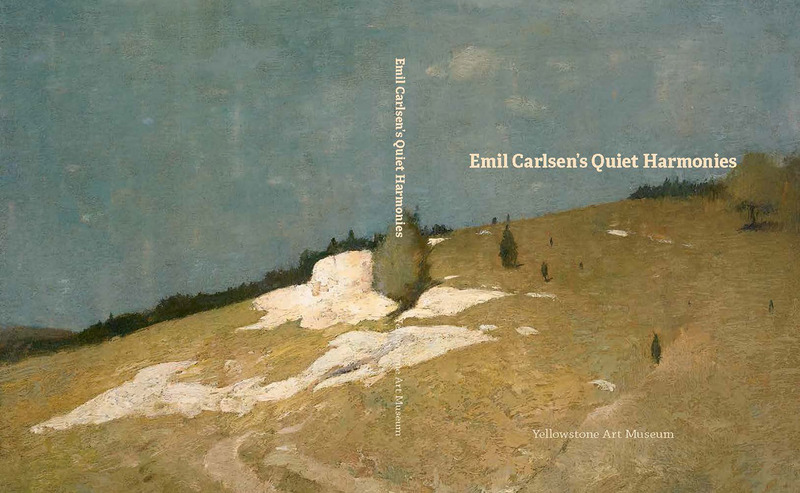 2018 Yellowstone Art Museum, Billings, MT, “Emil Carlsen’s Quiet Harmonies”, March 22, 2018 – July 8, 2018. Exhibition dates: March 22, 2018 – July 8, 2018. – Huntington Museum of Art, Huntington, WV, “Emil Carlsen’s Quiet Harmonies“, August 11 – November 4. – Lyman Allyn Art Museum, New London, CT, “Emil Carlsen’s Quiet Harmonies“, December 1, 2018 – March 24, 2019. Emil Carlsen : Landscape study, ca.1931. Emil Carlsen : Late fall day at Windham, 1930. Emil Carlsen : Hemlock grove study, ca.1930. Emil Carlsen : Wood interior, ca.1920. Emil Carlsen : Seascape, ca.1920. Emil Carlsen : Tree study, ca.1920. Emil Carlsen : The farm: a sketch, ca.1919. Emil Carlsen : Springtime, 1915. Emil Carlsen : Landscape with tree, ca.1912. Emil Carlsen : Woodland stream, ca.1912. Emil Carlsen : Surf breaking, 1911. Emil Carlsen : Wood interior, ca.1909. Emil Carlsen : The canal, ca.1907. Emil Carlsen : Mullein stalks, Windham, CT, 1906. Emil Carlsen : Summer evening, 1904. Emil Carlsen : Richmond bridge in spring [London], 1899. Emil Carlsen : Haystacks, 1892.